We don’t know. Not the writer, but the human population. That is not to say that there aren’t many theories, but we don’t know truly why. First off, you should probably know that the moon does not get any bigger physically. In fact if you use your camera to take a picture of it when it is high in the sky, then again when it is at the horizon, then you will notice that it is the exact same size! If you look through your legs at the moon at the horizon, everything upside down will make the moon look the same size as when it was in the sky. 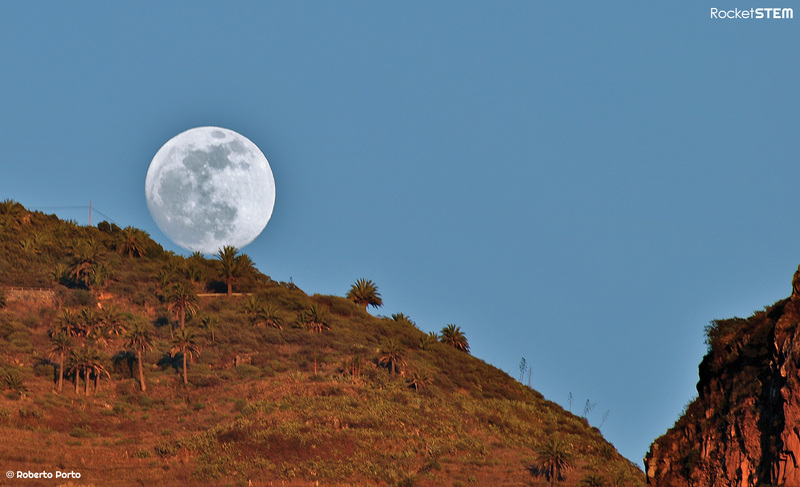 One theory is that when the moon is at the horizon, you have a point of reference. The buildings and trees make it seem bigger, while it seems small compared to the entire night sky. A similar thing happens in the ball illusion at the bottom. The center balls are the same size! Another is that, since things at the horizon are generally farther away, the brain compensates and makes the moon seem larger, even though it is the same size. The Moon is the only extraterrestrial body that has been visited by humans. The first space craft to send back pictures from the Moon was the Soviet Union’s Luna 3 in October 1959. Mons Huygens is the tallest mountain on the Moon, it is 4,700 metres tall, just over half the height of Mt. Everest (8,848m). The Moon has “phases.” That means it looks a little different to us each night during its one-month orbit of our planet. We describe how the Moon looks with terms such as “Full Moon,” “First Quarter,” and “New Moon” (which we can’t really see, because the side that is lit faces away from us). This is a simple activity that most any kid, or adult, will enjoy. Open up a pack of Oreo cookies and scrape off (or knowing most people carefully bite off) the creme filling to make the four major phases of the Moon. 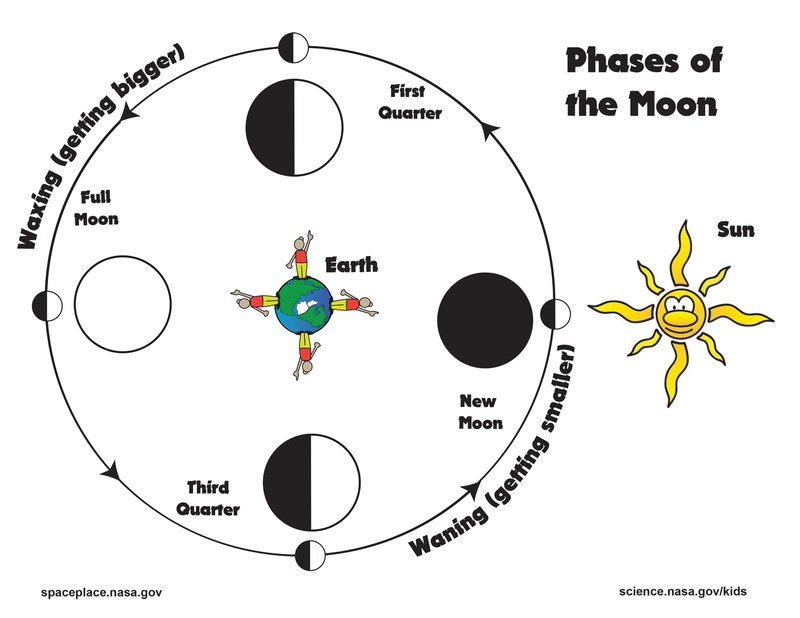 Each month, the portion of the Moon we see in the sky changes, passes through phases: growing from New Moon to Crescent to First Quarter to Gibbous to Full, then decreasing until it is back to New Moon once again. These Oreo “Moons” show how the Moon looks from Earth during these phases as seen in the above illustration.